Our Celebrant Diploma Courses communicate a great deal of Best Practice for Readers and Readings. An essential element in this for a celebrant is to have a knowledge of resources regarding poetry and powerful quotations. A celebrant who does not rehearse readers – especially at the official rehearsal, is doomed for disappointment. My experience is that even the most educated persons “race” readings at a wedding. Sometimes I have to ask the reader to practice two or three times, so I can slow them down (to say nothing of developing inflexion and feeling – and how to use the microphone). Ceremonial pace is a measured pace – and this so applies to Readers. When couples ask me whom they need at the rehearsal, I always start off by saying – “You – and the Readers”. Such positioning always gives out the feeling that the readers are reading on behalf of the guests – which they are. Actually short introductions personalise almost every reading and should be created for every poem and prose quotation. And, needless to say, at these times the Reader is the centre of attention and the celebrant should get right out of the way. Readers should look up at the bride and groom who should rehearse giving the reader rapt attention. A BBC story about discovering readings from children’s books took me by surprise. We Australians (where Civil Marriage Celebrants were established in 1973) were reading these selections from children’s books over thirty years ago. I do not know how many times a reader or I have read to a bride and groom the Velveteen Rabbit, or quotes from the Little Prince, or the Princess Bride or The Owl and the Pussycat. It is a good discovery by the Brits but they have not discovered something bright and new ! If you are a celebrant anywhere in the Western World our Diploma courses are for you.If you wish to become a celebrant in any country, other than Australia, our Diploma Courses are for you. 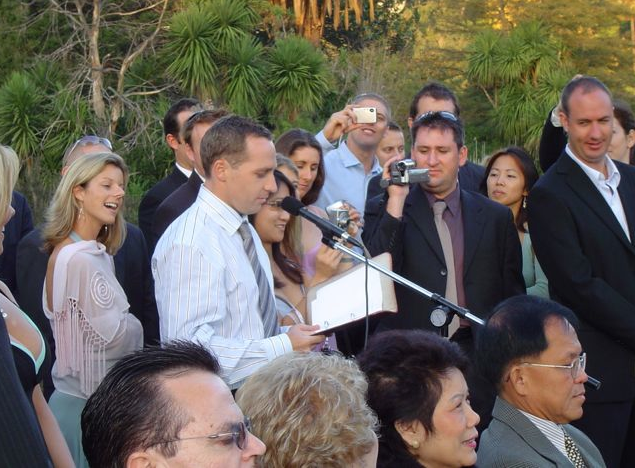 If you wish to become a Celebrant in Australia we need to inform you that there is a necessary qualification the government currently requires – Certificate IV in Celebrancy – We need to tell you that we do not esteem this course very highly as it is mainly written and controlled by non-celebrant government bureaucrats. We teach this Certificate IV Course in two ways. You can study our Diploma of Marriage Celebrancy with extra prescribed work as required. Or we teach it only as required by the government (less expensive, less comprehensive) but, despite the difficulties, we still teach it better than anyone else through our partner Registered Training Organisation, Life Skills Training.